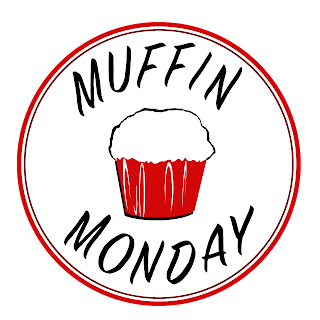 I'm excited to be joining the Muffin Monday bakers again this month! 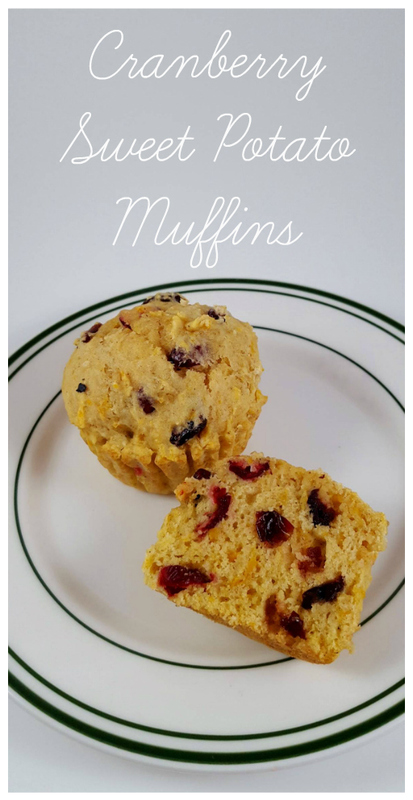 Muffins are always a hit around here, but I tend to make the same varieties over and over. I was browsing recipes for this month when I came across these Cranberry Sweet Potato Muffins from Taste of Home. I made some slight changes to the recipe. 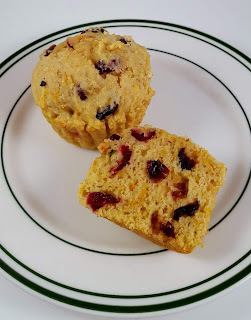 I only had a half a cup of fresh cranberries left over from another recipe, but I had some dried cranberries on hand to make up the difference. Instead of the recommended cinnamon sugar topping, I used raw sugar. The finished muffins are such a beautiful color, and the taste is amazing! They aren't overly sweet, which is nice. They were great plain, but also excellent griddled and spread with a little cream cheese. Thank you so much to Diane M. for sharing her recipe. Thanks so much to Stacy for hosting and to all the other awesome bloggers who shared recipes today! In a large bowl, combine the flour, sugar, baking powder, salt, cinnamon and nutmeg. In a small bowl, combine the egg, milk, sweet potatoes and butter; stir into dry ingredients just until moistened. Fold in cranberries. Fill 12 greased or paper-lined muffin cups half full. Sprinkle with sugar. Bake at 375° for 18-22 minutes or until a toothpick inserted in muffins comes out clean. Cool 10 minutes before removing from pan to a wire rack. Serve warm. 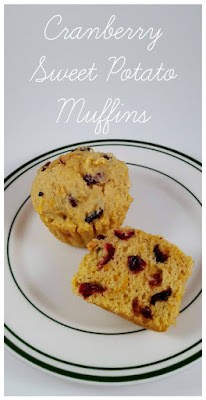 I think these must be better with the dried cranberry/fresh cranberry mix, Jolene. Sometimes only fresh can be a bit tart. They would be perfect for Christmas morning! I agree, and there's not a ton of sugar to offset the tartness, so I'm very happy I did half fresh and half dried! I can imagine these with a spread of sweetened up cranberry butter. Love the idea of mixing fresh and dried cranberries! Griddling them and then spreading them with cream cheese sounds amazing. Really love the colour of your muffins! I've been making this recipe for over 5 years now. My guys saw an advertisement from a pizza chain for a Mega Chocolate Chip Cookie and they asked if I could make one. Since I didn't have an ovenproof skillet or pizza pan at the time, I searched the web for one I could do in a cake pan. I found this recipe on That's So Yummy and it was perfect since I only had 1 egg. This is a great fix for a chocolate chip cookie craving without making a huge batch, scooping dough and then babysitting cookie sheets! Most often I make it with semisweet chocolate chips, but sometimes I switch it up and and use some of the speciality ones that I can't seem to resist buying, like Sea Salt Caramel. Though the directions say to cool it completely, we like ours warm, topped with a scoop of ice cream, sometimes a drizzle of hot fudge sauce.